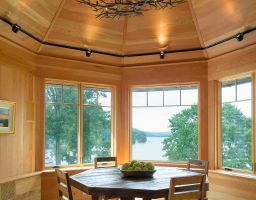 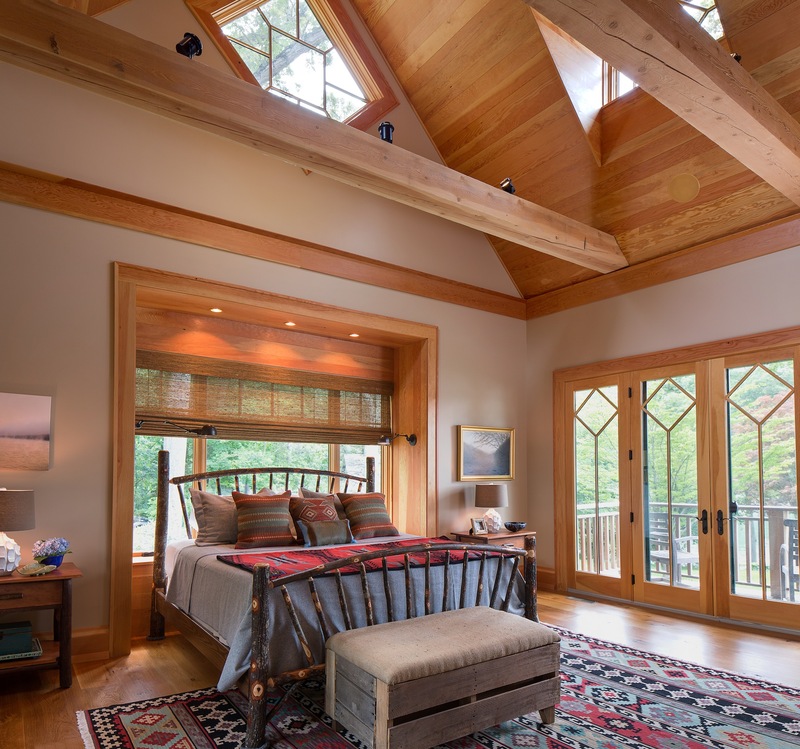 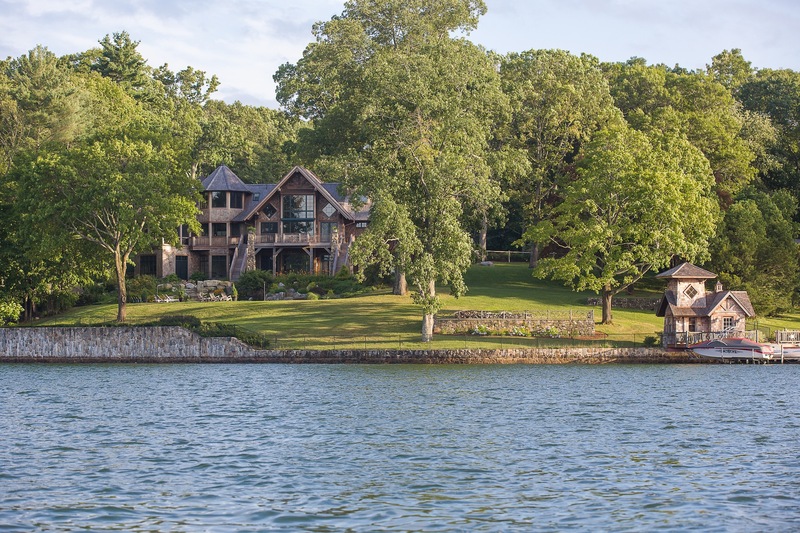 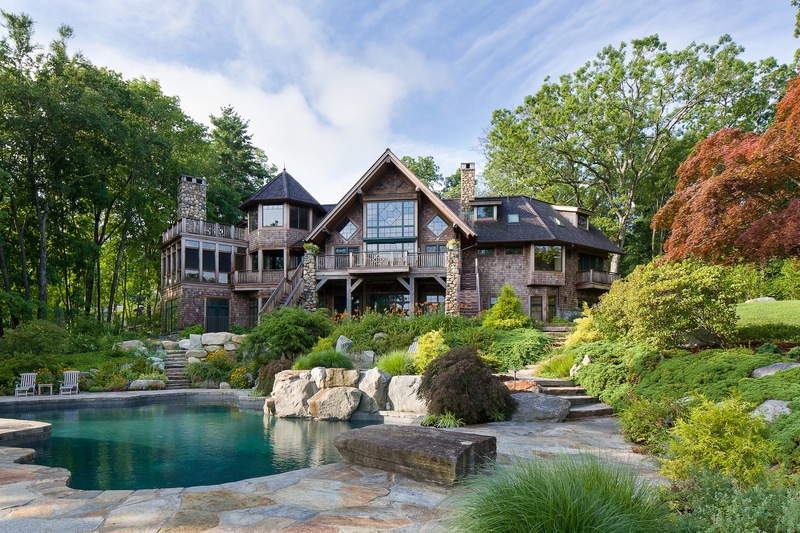 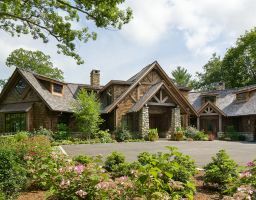 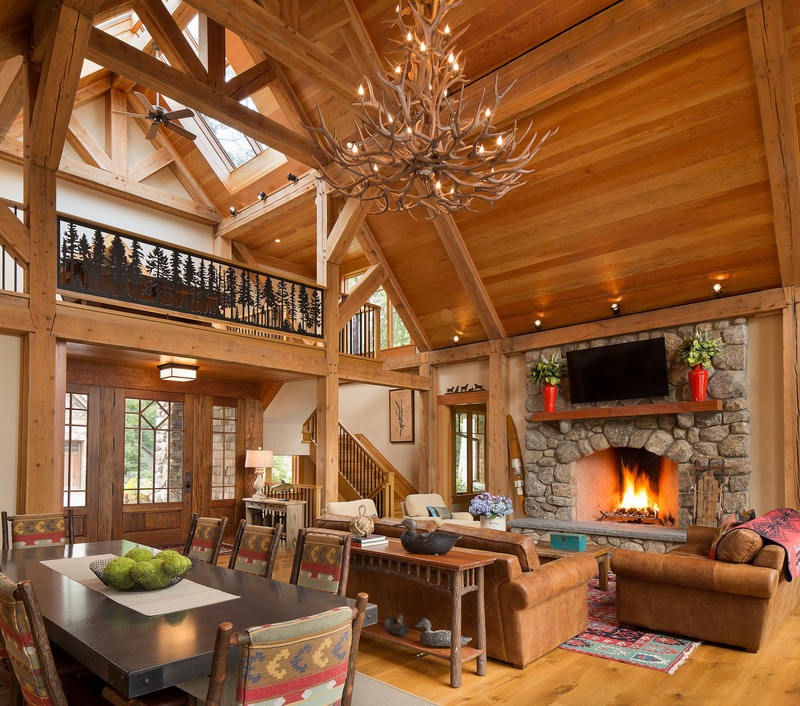 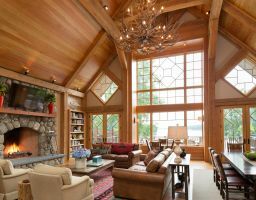 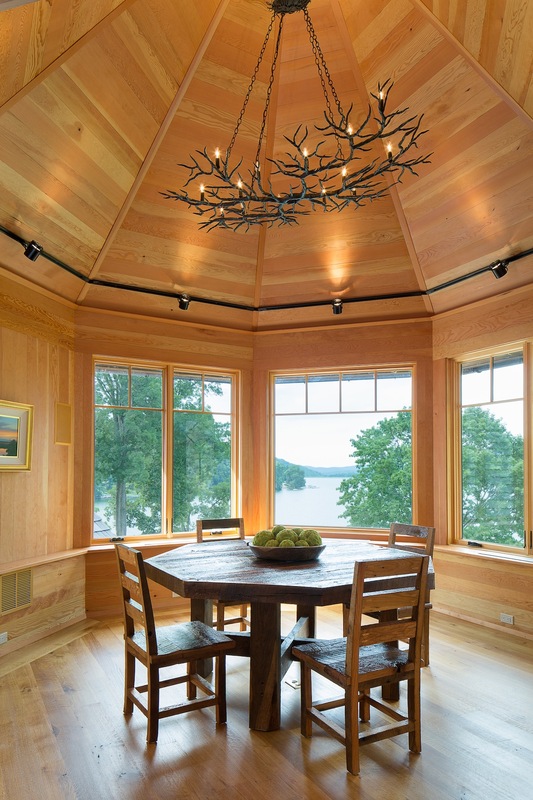 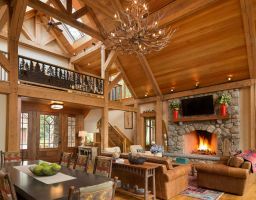 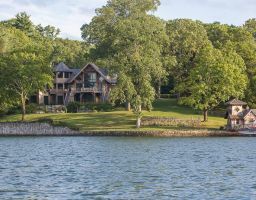 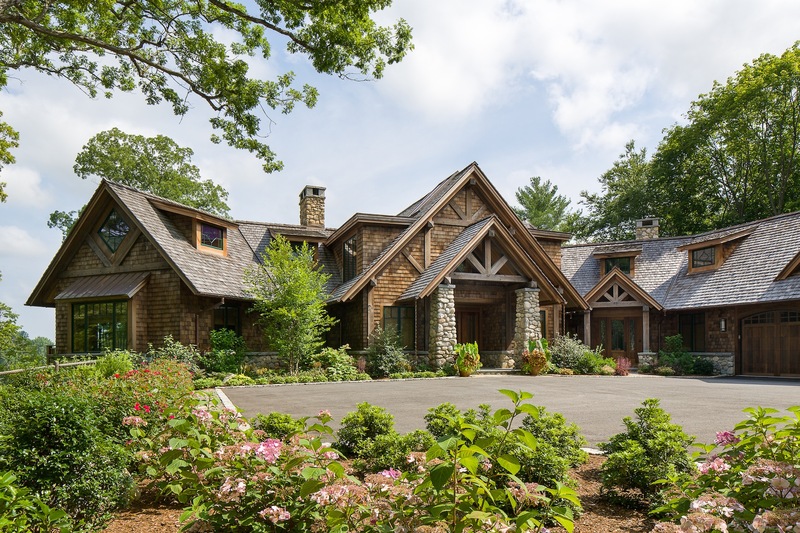 Situated on a bluff with a long, axial view of Cadlewood Lake, the heart of this home is a magnificent timber framed Great Room with rustic details and rich natural materials. 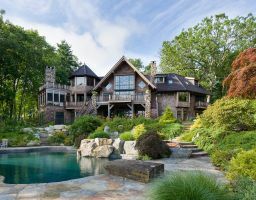 A drive-through stone guest cottage leads to an intimately scaled courtyard that provides peace and serenity upon arrival. 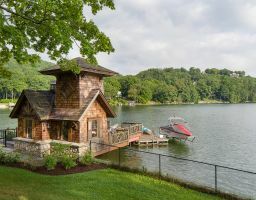 The gently sloping property includes a swimming pool, a terrace, a fire pit, and a playful boathouse and dock.